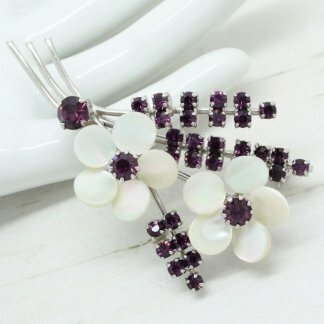 Description: One of my new current favourite vintage brooches at Queenie’s Bazaar. 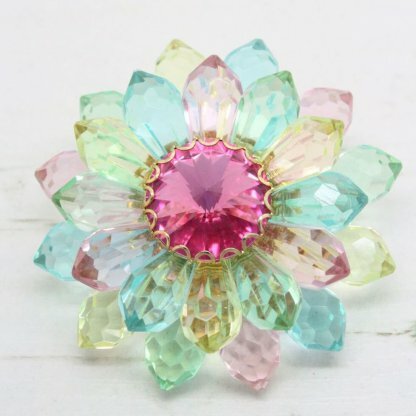 This 1960s beauty features faceted cut lucite stones in a rainbow of pastel shades – In blue, pink, green and yellow. Complete with a statement bright pink rivoli cut centre held with a gold plated frame and filigree back. 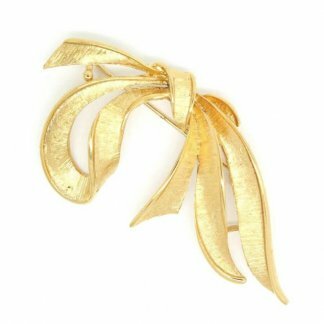 Measuring approximately 5.7cm at widest point, this large size brooch is sure to be admired when worn. In good condition showing slight to no wear. 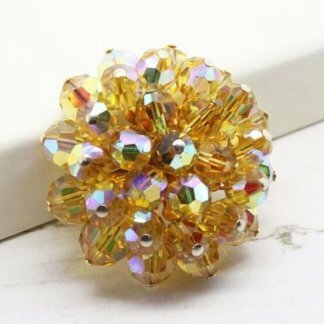 It remains bright and shiny and appears unworn. Strong roll lock clasp to the back.